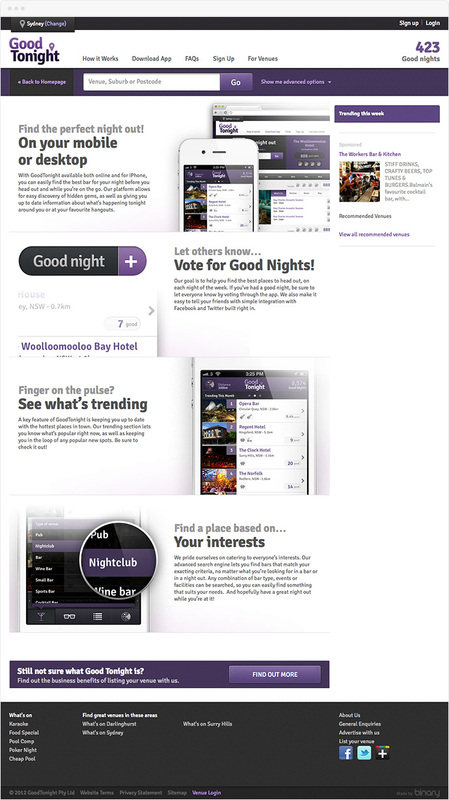 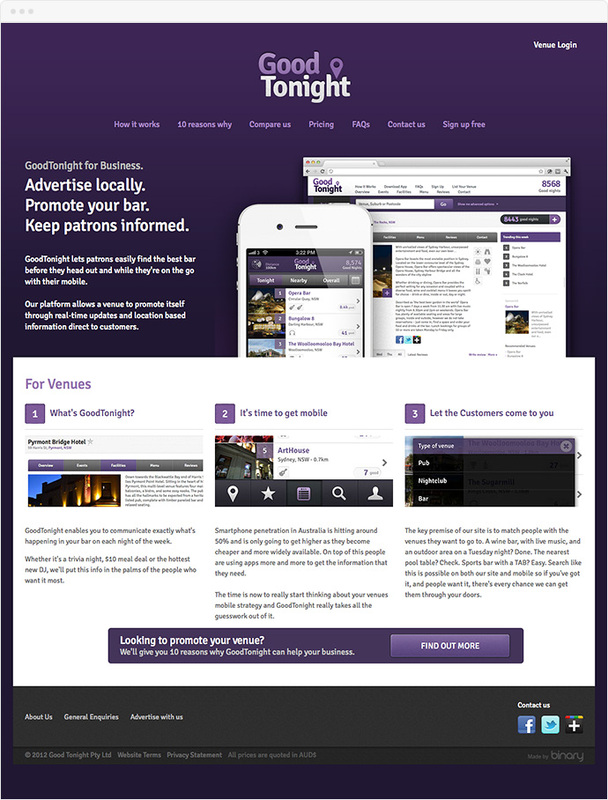 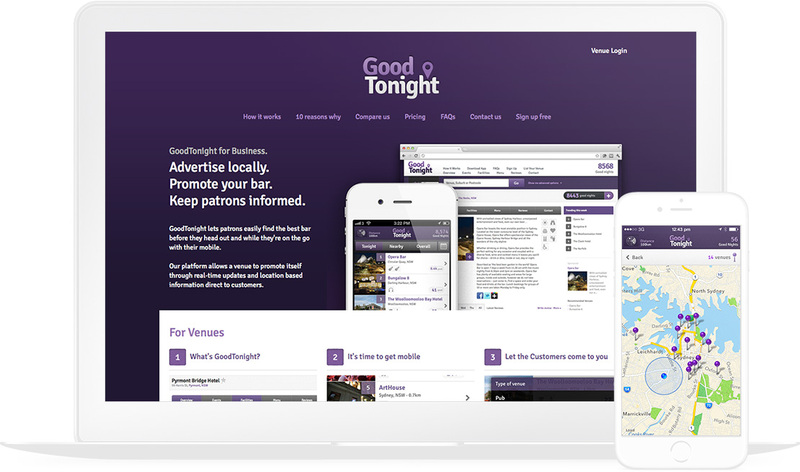 Binary partnered with GoodTonight to create the ultimate app for finding the perfect night out. 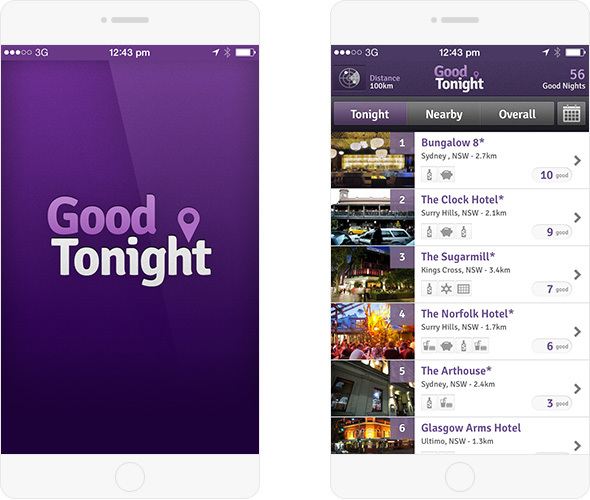 From idea to infrastructure – GoodTonight was designed and built from the ground-up and optimised for mobile users by our product design team. 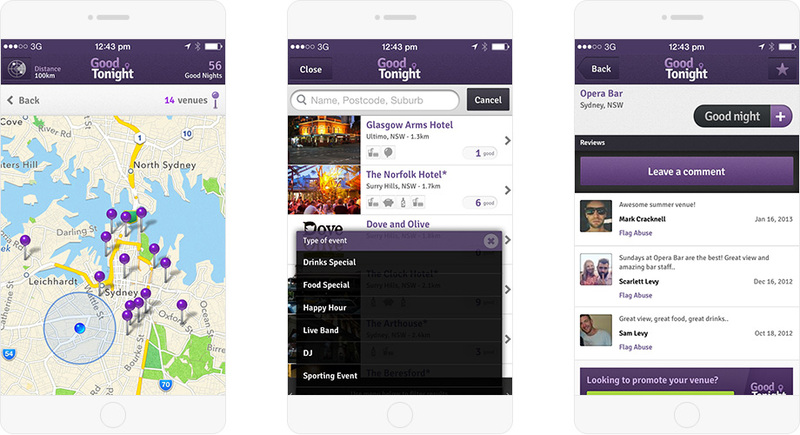 Available both online and for iPhone, you can easily find the best bar for your night before you head out and while you’re on the go.